As part of our ongoing effort to monitor legal developments concerning social media evidence, we again searched online legal databases of state and federal court decisions across the United States — this time to identify the number of cases in the first half of 2012 where evidence from social networking sites played a significant role. The results are available here in a detailed spreadsheet listing each case, allowing for anyone to review the cases and conduct their own analysis. The cases are accessible for free on Google Scholar. The overall tally come in at 319 cases for this 6 month period, which is about an 85 percent increase in the number of published social media cases over the same period in 2011, as reported by our prior survey earlier this year. As with the last survey, we reviewed all the search results and added annotations for the more notable cases, and were sure to eliminate duplicates and to not count de minimis entries — defined as cases with merely cursory or passing mentions of social media sites. As only a very small number of cases–approximately one percent of all filed cases– involve a published decision that we can access online, it is safe to assume that several thousand, if not tens of thousands more cases involved social media evidence during this time period. Additionally, many of these published decisions involve fact patterns from as far back as 2008, as they are now just working their way through the appeals process. Finally, these cases do not reflect the presumably many thousands of more instances where social media evidence was relevant to an internal investigation or compliance audit, yet did not evolve into actual litigation. 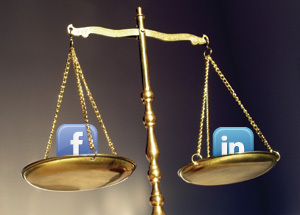 Even so, this limited survey is an important data point establishing the ubiquitous nature of social media evidence, its escalating importance and the necessity of best practices technology to search and collect this data for litigation and compliance requirements. We plan on providing a complete summary for all of the 2012 cases in early January and it safe to assume that the second half of 2012 will continue to see a sharp increase in the presence of social media evidence. John Patzakis’ December 12, 2011, post on attorneys having an affirmative duty to address social media evidence was spot on. The commentary by the Maryland appellate court in Griffin v. Maryland that lawyers “as a matter of professional competence” should be investigating social media avenues in their cases represents just the latest in a number of opinions from around the country that demonstrate that the lawyer who ignores online resources does so at his own peril. Beyond this clear trend toward requiring greater digital savvy on the part of attorneys, ethical rules also mandate that a professionally responsible lawyer should not ignore social media. 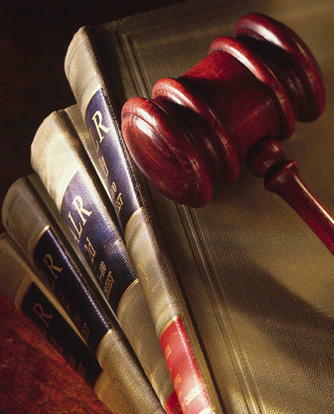 Rule 1.1 of the ABA Model Rules requires lawyers to be competent in representation of their clients, with Comment 6 advising that lawyers “should keep abreast of changes in the law and its practice.” In an age in which Facebook has amassed 800 million users worldwide and studies show that 65% of adult Americans have at least one social networking profile, how competent or diligent is the lawyer who fails to take information from social networking sites into account? John Browning may be contacted at jbrowning@lbbslaw.com. Many in the legal and eDiscovery field cite the very illuminating research from the Duke Law Journal published in the spring 2011, which, based upon their search of the case law, identified nearly 300 federal court decisions through the end of 2009 that awarded e-discovery sanctions. This survey and others like it reinforce the sentiment that eDiscovery is crucial to nearly all litigation and internal investigation matters. The work of the Duke Law Journal inspired us to search an online legal database of state and federal court decisions across the United States to identify the number of cases where evidence from social networking sites played a significant role. The numbers were quite an eye opener and exceeded even our high expectations. From January 1, 2010 through November 1, 2011, 674 state and federal court cases with written decisions available online have involved social media evidence in some capacity. The search was limited to the top four social networking sites and the tally came out as follows: Myspace (326 cases), Facebook (262), Twitter (49) LinkedIn (37). The numbers excluded results where the social networking site was either named as a party to the case or where such cases were cited as precedent. Sampling review indicates that a significant percentage if not the majority of the Myspace cases generally involved criminal matters. Sampling review also suggests that simple printouts and screen captures or direct testimony of representatives from social media providers in criminal cases were the means used to obtain this evidence. In several dozen cases the court addressed, and in several instances sustained, objections to the evidentiary authentication of social media evidence. This reaffirms that the authentication of social media evidence without best practices technology is a major concern. This survey of course does not reflect the presumably exponentially more cases involving social media evidence but without a written opinion available online that reflects that involvement. Even so, these numbers are an important data point establishing the ubiquitous nature of social media evidence.